A good lifestyle is not about the things you have but how well you live. A healthy lifestyle is a key to living well. You truly enjoy every moment, welcome new opportunities and exude wellness by keeping your body healthy enough to do so. You probably aren’t as active as you think – Unfortunately if you have a desk job that requires you to sit for hours together, one hour in the gym is not making you any more active than you were. A desk job is a one-way ticket to a sedentary lifestyle and you need to move a lot more to be considered active. Talking calls on the move, walking around the office every thirty minutes, standing for long periods of time keeps your body active the way it is meant to be. Of course, regular exercise is a must but consider being more active throughout the day. Meal Prepping is a lifesaver – It is far too common to rush and get that cheeseburger to go because you didn’t have time to make and pack your lunch in the morning. As you begin to purchase packed food every day, you see signs of your health declining as well. Instead of living on processed foods, every weekend prep your own meals. You are then prepared for the entire week and can eat cleaner without much effort. Meal prepping has been around for ages and it is taking your diet back into your own hands. You probably need to replace your mattress – An increasing number of people aren’t getting enough sleep and frighteningly, aren’t asking why. With increased stress, sleep evades people and the health consequences are quite serious. Lack of sleep is related to serious illnesses like cardiac problems, type II diabetes, depression, a weakened immune system and so on. 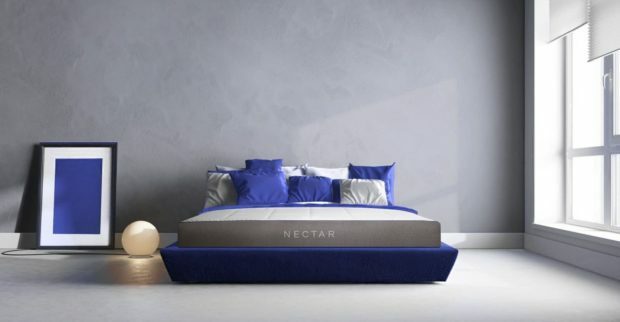 Brands like Lull Mattress and Nectar Mattress UK are creating products that are designed to help you sleep better. You might want to get a new bed frame as well – As long as you are replacing your mattress, consider purchasing a new stylish bed frame made from real wood. Bed frames are the foundation on where your mattress rests and needs to be sturdy enough to support you while you sleep. Creaking bed frames are all too common in houses now and can wake you up from sleep. Contemporary bed frames bring in a stylish, luxurious look to the room while it fulfills its purpose as well. Consider meditation or yoga – People are always stressed out with deadlines and long jobs. The body is always in an alert mode thanks to the biological stress response in the body. The best way to combat stress is to take time to breathe deeply. It relaxes the mind and helps you focus better. Meditation and yoga are great activities that involve deep breathing. You can also have your own set of deep breathing exercises to combat stress. Keep hydrated – The importance of keeping well hydrated throughout the day cannot be stressed enough. There has been enough debate regarding how much water needs to be consumed every day but the bottom line has always been the same. Staying hydrated works wonders on the hair, the skin, the body, and your health. It also helps you lose weight. If you work out every day, then you need to consume more water. You can stay hydrated in fun ways with juices, green teas and the like. Get into the fruits aisle – Fruits are a great source of vitamins and minerals. Instead of investing in expensive vitamin serums and creams, eat a side of fruit every day. Some of the healthiest fruits are avocados, pineapples, grapefruits, blueberries, and apples. Interesting ways to get fruits in your diet is to add it to smoothies, yogurt or in a fresh fruit juice. One portion of fruit every day will reduce the risk of heart disease, diabetes, and breast cancer. Reduce caffeine intake – Caffeine has no nutritional value to the body. It triggers the nervous system and makes the brain alert. Caffeine is found in candy, medication, food, and beverages and in certain chewing gums. It can increase anxiety, digestive issues, rapid heart rate, high blood pressure, and insomnia. While a little caffeine is permissible every day, people tend to consume a lot more of it. Reducing caffeine will help improve overall health drastically. Use positive affirmations – The worst thing about the negativity in our lives is that we bring it on ourselves. If our family or friends are going through a bad phase, we encourage them with positive words. But we constantly speak negatively to ourselves. Negative thoughts can lead to bad self-esteem, increased stress and depression. Positive affirmations every morning is a great way to start the day on a good note. The more positive words we use in our lives, the more positive our life turns out to be. Learn something new every day – We are blessed enough to live in the digital age where information is available to us for free. It is important for us to broaden our intellect by learning something new every day. Watch a video, read an article, do an online course – the possibilities are endless. The more we know about the world we live in, the more curious we get about exploring it ourselves. Intellectual stimulation tends to fade out as we get into a routine, so it is important to take it on ourselves to stay curious. Entrepreneur and motivational speaker, Jim Rohn rightly said, “Take care of your body. It’s the only place you have to live.” To experience life to the fullest, it is important to have a healthy lifestyle. No matter your end goals – happiness, success, money, you need to have the energy and drive to make your way there.